Tamil actor Suriya's upcoming film Thaanaa Serndha Koottam is slated to be released on Friday. Directed by Vignesh Sivan and produced by KE Gnanavel Raja, the film is tipped to be the Tamil remake of Akshay Kumar - Neeraj Pandey's heist crime thriller Special 26. Suriya will be seen portraying the role of Akshay Kumar while Shivakami of Baahubali series, Ramya Krishnan plays Anupam Kher's role. Thaanaa Serndha Koottam stars Keerthy Suresh in the female lead. In a recent interview, Suriya had stated that working in Thaanaa Serndha Koottam reminded him about his early struggling days of his career. He also revealed his first salary as Rs. 726. "Vignesh told me the journey of my character in the film starts from a teashop. It reminded me of the days when I earned my first salary of Rs 726. It reminded me of the time when I travelled by bus to school and college. 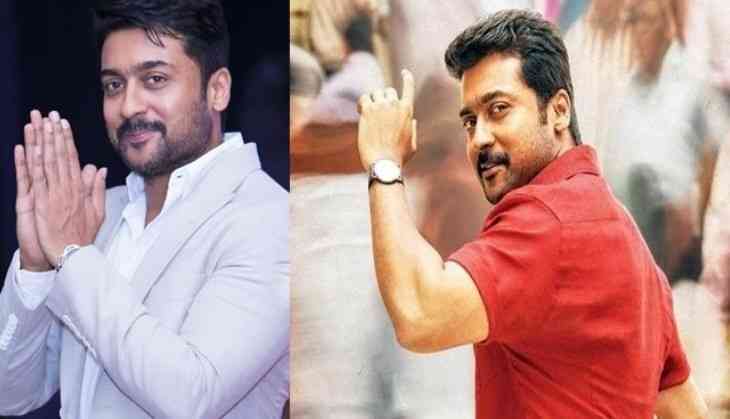 Working in this project helped me reconnect with my roots which I still haven’t forgotten,” Suriya said. Thaanaa Serndha Koottam will have a simultaneous release along with its Telugu dubbed version, Gang.